The Sydney office will be led by Simon Raybould and represents CME Group's seventh in the APAC region. CME Group has its eye on expanding in the Asia-Pacific (APAC) region following the opening of a new Sydney office. The office’s launch comes amidst a healthy uptick in APAC volumes for the derivatives marketplace over the past few quarters, with the region representing a strategic foothold and area of emphasis for the group. The new office will be located in Sydney’s Central Business District. As a key financial hub, Australia constitutes one of CME Group’s biggest areas of focus in 2017 and beyond. Australia is already responsible for a significant portion of CME Group’s revenues with the APAC region as a whole instrumental to its overall growth plans. CME Group now has a total of seven offices in the APAC region – in Sydney, Bangalore, Beijing, Hong Kong, Seoul, Singapore, and Tokyo – and employs around 300 people. The new office will be led by Simon Raybould, CME Group’s Head of Australia. Mr. Raybould previously worked as a non-executive director at CME Europe, and has over thirty-five years of experience in the financial services industry. Roles prior to CME included stops at Barclays, Euronext Liffe, and MF Global. “Australia is a key international financial centre and commodity hub, and our office here will enable us to deliver our ever-expanding range of risk management solutions to our growing key client segments across asset managers, banking, commercials, hedge funds and proprietary trading,” explained Mr. Duffy. 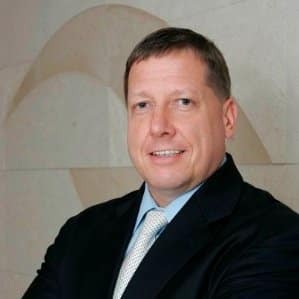 “Australia is central to CME Group’s growth plans, being in the top five contributors of our revenues in the region, and we are excited to be able to bring our expertise and products here to help our clients with their risk management needs, especially in the areas of OTC clearing and trade repository services,” reiterated Christopher Fix, Managing Director and Head of Asia Pacific, CME Group.